Does the latest YouTube TV price hike have you considering ditching the service? Follow along for how to cancel your YouTube TV subscription. YouTube TV is adding ten channels along with the price increase, but the jump from $35 or $40 (depending on when you signed up) to $50 is sure to make many reconsider their subscription. 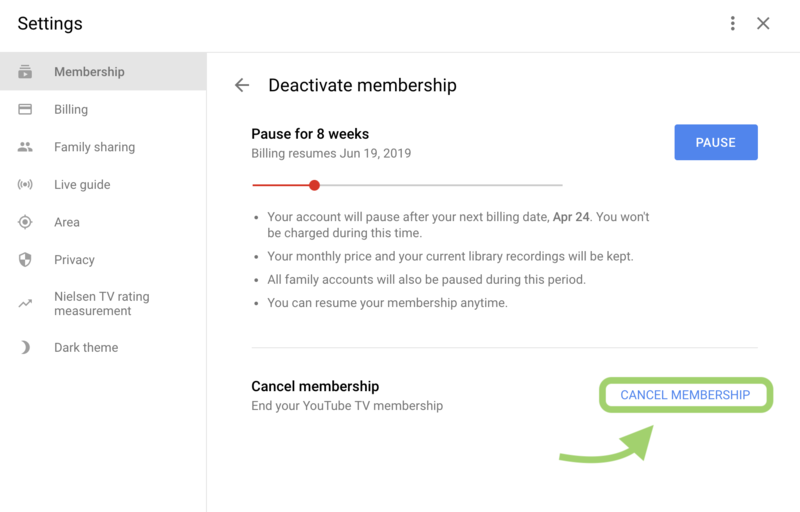 If you want to think things over before cancelling your account, YouTube also offers the option to pause your plan for up to 24 weeks. To cancel your YouTube TV subscription, you’ll need to access your account on the web, subscriptions can’t be cancelled in the app. Pull up the YouTube TV website and login with the account you want to cancel. Select your profile by clicking your picture in the top right hand corner, then select Settings just below your email. In Settings on the Membership tab, you should see the ‘Deactivate membership’ option in the top left portion of your screen, just under the YouTube TV logo. At the bottom of the Deactivate membership page, you’ll see the ‘CANCEL MEMBERSHIP’ option in the bottom right corner. Alternately, above that is the ability to pause your membership for up to 24 weeks. Share the reason why you’re cancelling your YouTube TV account and then click ‘CANCEL MEMBERSHIP’ one more time. All done! You’ll get a cancellation confirmation email which also lets you know how much longer you’ll have access to YouTube TV. Here’s what happens when you cancel YouTube TV account. You will no longer be able to access add-on networks. You can’t add any add-on networks without a membership. Learn more about adding and removing add-on networks. All recorded programs in your library will expire after 21 days. However, we’ll save your library preferences (e.g., shows, sports teams, and events that you’ve added) in case you want to re-sign up at a later date. 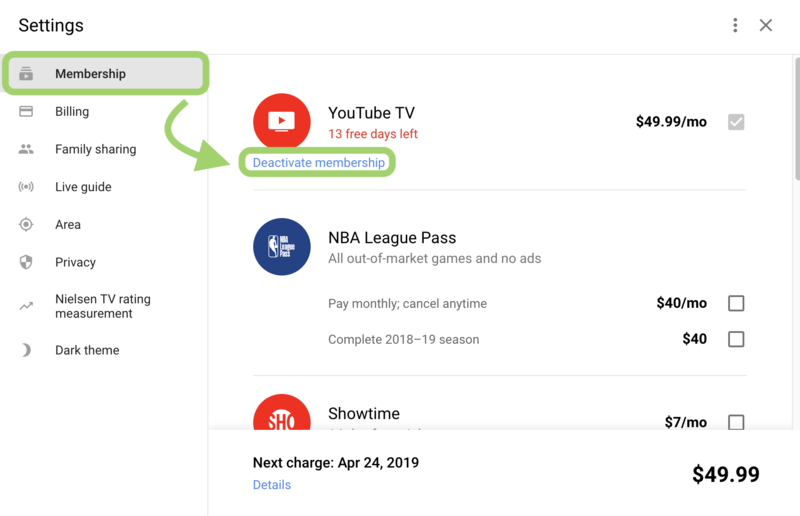 If you choose to restart your YouTube TV membership at a later date, you may not be eligible for promotional prices and may not have access to previously recorded programs. Google may store limited information (such as your home zip code) for billing and fraud prevention purposes.